I know, I know. You must be thinking, how can this girl, the one who made up #WhereThePumpAreYou get off the pump? Right. Well, it’s called lack of funds and no insurance. That’s how. Not for long, she says! I just got a new full-time job that will give me benefits starting in September. Whew! It’s been a while, Blue Cross and yes, I’ve missed you. However, I must admit that getting off the pump has taught me a thing or two about diabetes. 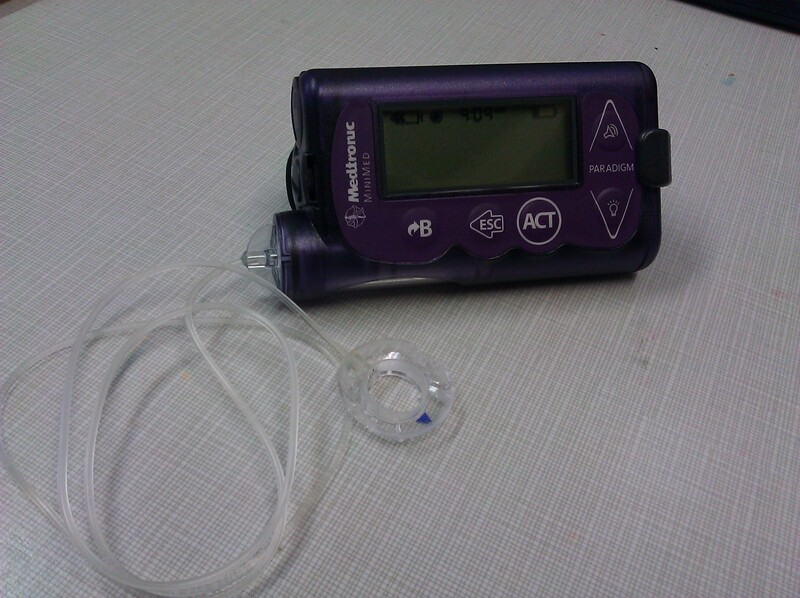 Especially that little shell-like thing called a continuous glucose monitoring system. Man, the fact that I’m checking myself more is a thorn in my side. And how did I ever go so long without knowing where my blood sugar level was? Apparently, the average cell phone user checks their smart phone 150 times a day or more. Yeah, well, I beat that with checking my CGMS like 300 times a day. 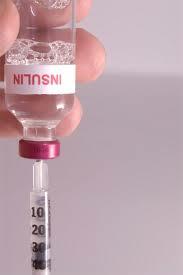 I was addicted to knowing my blood sugar and I’m currently going through withdrawal. I’m gadget driven and I removed the most important one. Bah, I say. Although, I must admit, it’s putting a lot of things into perspective for me. For instance, pro: I don’t have anything latched on to me. Right? 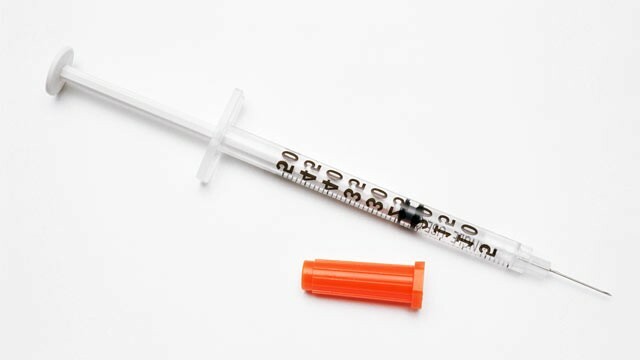 Well then you have the con: I have to carry needles around and look like a drug addict (even though we are) in public. Or how about this one. Pro: I can wear dresses without figuring out where to put the damn thing! Con: I’m worried about where my blood sugar will be in the next few hours and if the insulin I gave myself should have been in my arm instead of my thigh or in my abdomen instead of my… you get the picture. On that note, it took the full force of Zeus himself for me to bite my tongue. The parking meter for my car was also running and I didn’t want to get a ticket so… I just ignored the explanation of how I should check once a day but different times every day. Yeah, no. I need strips. I find myself guessing sometimes now. Am I shaky or is that a result of my phone vibrating? This might be bad, but don’t worry! I’m ordering my Medtronic supplies as soon as I hit publish on this baby. I’ve also been checking more than once a day, so I’m all good. I’m telling you though, I’m starting to be really weirded out by the fact that I could deal with myself before the pump and before I re-learned appropriate management of my disorder. Ultimately, my beef is this. I know how bad this is because I’ve seen better. If there is anything that I’m doing with this week of being off the pump is examining how it is to live the life of so many people out there. Those without insurance, those with sub-par medical health professionals and those who have to live under a system that doesn’t care enough to give them the appropriate amount of strips to test at least three times a day! So, after thinking about all of this, I wondered to myself, “What can I do?” I grew up with privilege of having parents who took care and educated me. They also had health insurance and provided the best care to my sister and I. I have seen the OK, the good and the best endocrinologists and I know what excellent healthcare looks like. I also know what crazy and no health care looks like and now I can compare. Don’t judge a person until you’ve walked a mile in their shoes. I’m walking it and I’m learning. Now, the next step is figuring out how to educate, advocate, support and make a change in the system. Who’s with me?